Many a time’s users get trapped with the issues related to a particular client. Although, Outlook is professionally designed, yet scenarios may arise where the users encounter error messages displayed due to some internal issues. One of the common error of Outlook is identity could not be opened with this version of Outlook for Mac. If you encounter this error message, then necessary information about it can be collected from this blog. Let’s first have a look on the reason for the error. Outlook displays the error message when a user try to delete or uninstall a copy of outlook 2011 which has been updated by some auto update process and then you try to reinstall the version using some external drive. This process upgrades the database of Outlook to a new version but there is no up-gradation in the version of Outlook. Hence, Outlook does not recognize the files in the database and denies to open them. Outlook is being widely used due to a number of advance features associated with it. The most striking feature of Outlook is its strong disaster recovery plan. Outlook provides way to overcome a number of issues by using in built utilities. Outlook error ‘Identity Could not be Opened with this Version of Outlook for Mac’ can be resolved using the following steps. As mentioned above that the error is generated due to the conflict in the version of Outlook and its database files. Thus, if you download and install the latest version of Outlook, you can avoid this conflict and can open the files with the installed version of Outlook. NOTE: Most of the times downloading and installing latest update can remove the error. However, if the error continues to occur, users may go for the following steps. Open ‘Preference’ to view files present in it. Open Outlook to find whether the issue continues or not. Launch Outlook, followed by Office 2011. If you still find the error then quit Outlook and move the files to their original location and perform step 4. 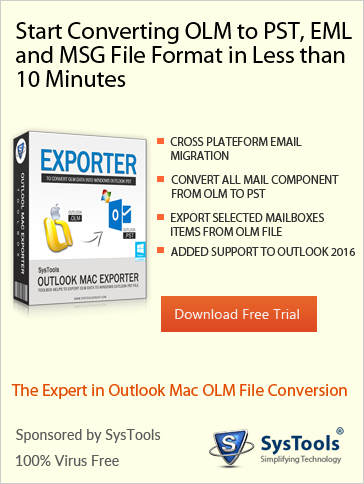 These steps will definitely solve the error identity could not be opened with this version of Outlook for Mac and you will be able to work efficiently with Outlook. Copyright © 2019 OLM Solutions. All Rights Reserved. Designed by bavotasan.com.